Dessert from Earnest Ice Cream's scoop shop on Fraser Street in East Vancouver on September 5, 2013. Published in Vancouver Is Awesome. 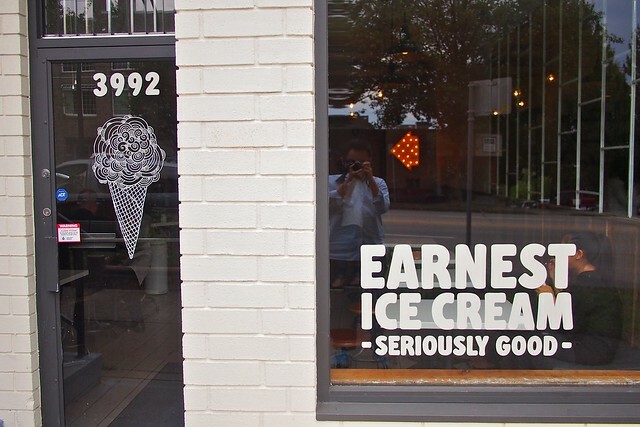 To close out summer and welcome rainy season, I got around to stopping by Earnest's brand new ice cream parlour for a cone of the good stuff for myself. 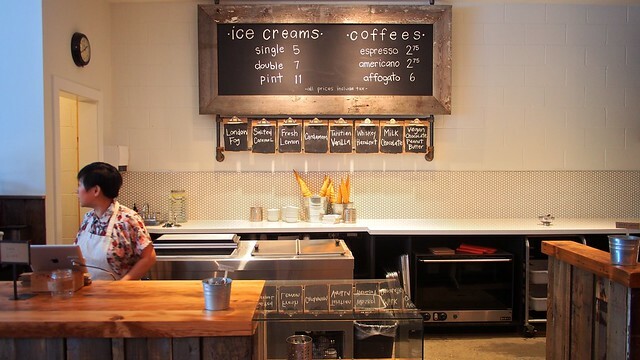 Owners and dessert aficionados Ben Earnst and Erica Bernardi have been (not so) quietly hawking their locally sourced artisan flavours (made with quality ingredients) at nearby markets and shops (like here) before opening their own scoop shop. After so many recommendations, I had to try their whiskey hazelnut flavour full of boozy goodness and nut pieces. It was certainly refreshing and flavourful. 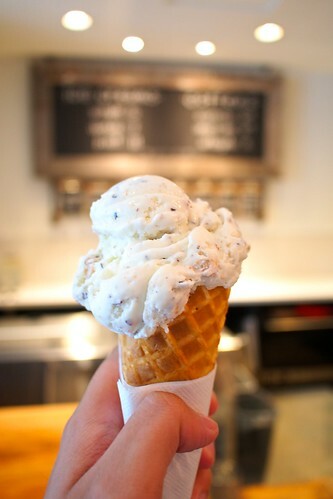 Salted caramel is their most popular choice with all its creaminess. Vegan chocolate peanut butter was another interesting, tasty, and inventive flavour. 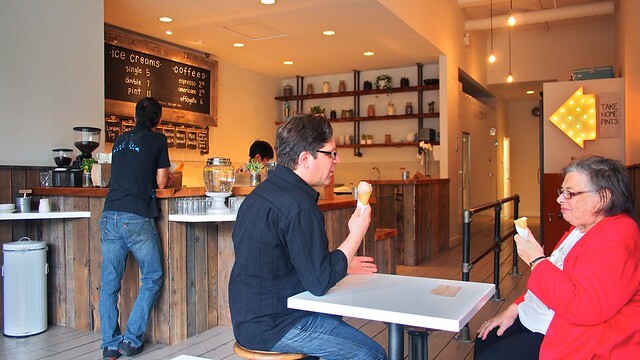 They're only open Thursday to Sunday from noon to 10pm, so far, as they ramp up their ice cream making and production in the back. 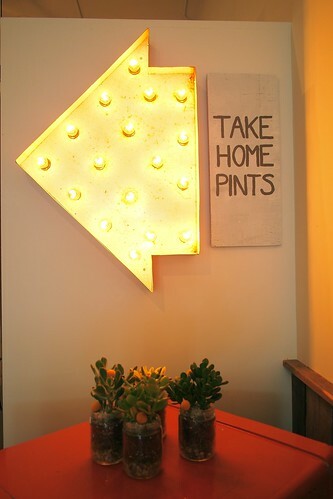 Make it your last stop so you can grab a take home pint on your way out. More | YVArcade / Salt & Straw / Eat Magazine / Globe & Mail / Scout / V.I.A.